Rediff.com » Movies » Welcome to the Bengal Tigress! Welcome to the Bengal Tigress! This week found Bipasha Basu in the spotlight. Yes, the siren is on Twitter, and, judging by the warm welcome she received, her 'tweets' are already creating a sensation. Abhishek Bachchan said, "the 1st time i ever sat in front of a camera was with @bipsluvurself please welcome my sautan bipasha.... fyi John still likes me more! Haha. Just to clarify. my 1st ever screen test was with bipasha. But that film never got made. She's been a friend since." Kunal Kapoor said, "If ur wondering why its suddenly gettin so hot on twitter, its cause Bipasha is now on twitter Phew, the temp is really rising!!" Some welcome, eh? Bips even posted some pictures of her and Ajay Devgn shooting in Goa, and other pictures on sets, her niece and more. Oh, and last month Bollywood beauty Madhuri Dixit joined Twitter as well. Turns out, one of her kids is a huge Aamir Khan fan, as Madhuri was spotted sending this tweet to the 3 Idiots star: "@aamiir_khan kids r gr8. Stop by,on ur nxt trip. My lil1 is ur big fan. Takcre." Day 1: AK said, "Testing. Aamir!" 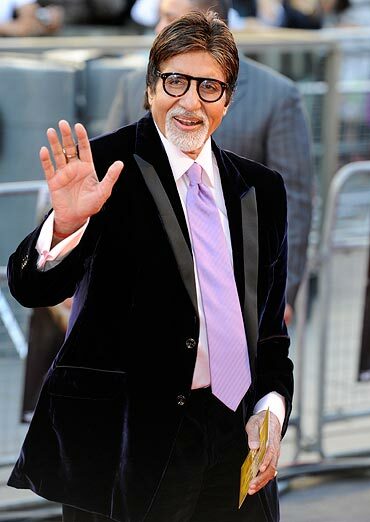 Sr Bachchan replied, "You have been tried and tested! Welcome, and thank you for agreeing to twitter! Now handle it brother! There will be MADNESS!!" And then followed it up with, "Morning! Told you of the 'madness' you would create... barely 2 days and over 70,000 followers... that's immense..."
He's also got super star Mohan Lal to start tweeting! And the duo seem to be making merry! We wonder who else is on Sr Bachchan's tweet list? We hope its Aishwarya's turn next! film is doing very well. Got lucky, huh?" To which Khan has replied stoutly, "@aamir_khan it ain't luck, Mamujaan!" Well, lets hope this luck holds for Imran Khan given great reviews but poor audience reactions! P.S: Aamir Khan is following Salman and Amitabh... SRK hasn't made it to that list yet. Cold vibes ahead? Watch this space! Talking of banter, Sonam Kapoor seems to be playing cupid in real life too... She tweeted to Priyanka Chopra, "@priyankachopra my brother thinks your the hottest woman alive and wants you to know he's young, single and very good looking." 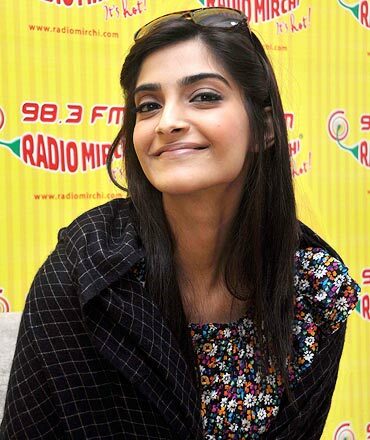 And then Sonam tweeted, "hahahahah... That is so sweet... You totally made his day... Lots of love. Leaving tonight, and thanks a ton!! Will call once I'm back.. Big hug." Another Kapoor-Chopra romance in the making... We will find out! Check out some of her latest pics while you are at it! We love Neha Dhupia. This week she gives us a gem to make us proud. She said, "So I slip into a pair of jeans this morning and they ask me one question" have u been goin to the gym a lot lately" and I say "yes alot!" Lara Dutta also states of her ongoing battle with the scales, "After 3 weeks of dedicated gym darshan scales r showin 5 pounds off!! Nothing comes easy in life & ive got a hint of sum abs 2 shw 4 it!" Or Sonam Kapoor who says, "I really really want some indian chocolate like dairy milk or fruit and nut but the stores are closed!!! Ugh.. I hate bandhs. Just had toblerone in desperation.. Yummmmyyyy!!" Will Kylie Minogue be finally cancer free?